New and replacement windows and double glazing sealed units are available in various specifications as direct replacements or to achieve an improved energy performance rating; in all styles, shapes and sizes, including annealed and toughened, K glass or low-e., patterned glass, stained, leaded and more. Should you live in a noisy environment, we can help alleviate the nuisance by way of acoustic sealed units, which significantly reduces the noise by up to 38 dB. We carry out a free of charge, no-obligation site survey, quote and advice service. If you require advice or information on the products available and their benefits, don’t hesitate to contact us today. 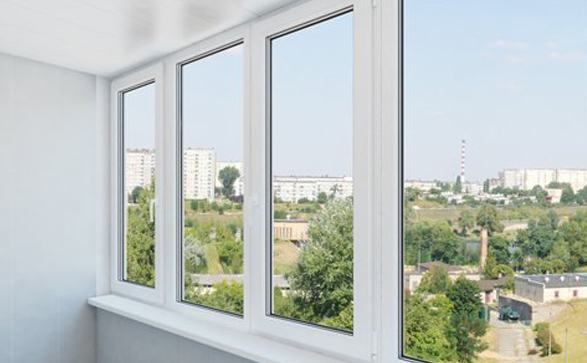 Secondary glazing is an ideal product for those with single glazed windows wanting to reduce heat loss and make homes a more comfortable and warmer environment with the added benefit of reducing the household energy consumed and lost. You will also benefit from the reduction of external noise. It might be that you have perfectly sound windows which are not energy efficient, or you are perhaps restricted by the type of window and glazing you can install due to living in a conservation or heritage area; or own a house which is a listed building. Our quality, aesthetically pleasing secondary frames are made from HE9TF alloy to BS1474. As standard they are finished in powder coated white but are available in any RAL colour. Units are available as a fixed unit or with sliding openers to enable ventilation and ease of cleaning. Frames with vertical sliders are weighted and balanced for smooth and easy operation. The frames can be made for face fixing or casement fine on a supply only or supply and fit basis. For more information Contact us. ‘Fire Resistant Glass’ – also known as ‘Fire Rated Glass’ is something that many public/commercial buildings and services require to gain planning and building inspection regulations passed and is a service that Melton Glass offer to our customers. Building regulations will determine what fire resistance any section of a build will require in order to provide safety routes within. We offer a range of different Fire Resistant Glass – also known as Fire Rated Glass projects with various levels of protection. Fire rated glass uses a minimum of two panels of toughened glass and the cavity between each sheet of this glass is filled with a transparent gel layer. In the event of a fire, the interlayer reacts to the heat and expands creating a barrier with a good degree of safety to the heat of the fire. The ratings and layers depends on the requirements of the property but additional safety barrier glass panels are more effective and efficient in defending the building from heat influences. Keen to keep your furry friend happy and give them the freedom they need? With a stylishly placed pet-flap – we can ensure these are carefully and accurately installed into your units to save you the trouble. We are fully insured glaziers and offer a 5-year warranty on sealed units (IGU) that are both supplied and fitted by our team, subject to terms and conditions (available on request). We hold valid CSCS cards. You can upgrade the windows in your home to low emissivity glass. This helps you to achieve better insulation and save on your energy bills. 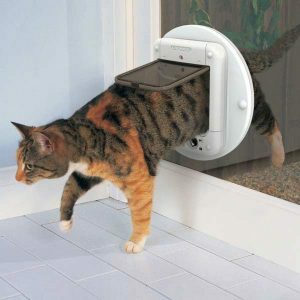 Cat and dog flaps can be installed into glass and sealed units.